The national debate on influence peddling at the hightest levels of government may reach its zenith with the hundreds of millions of dollars coming to light to the Clinton Foundation, mostly from foreign governments but in Hoboken the question arrives on the local front. Once again, it's the Mason family checkbook front and center. The Hoboken streets are abuzz with the latest attempt by Beth Mason to appear relevant and this time it comes with a whopper pricetage for a photo with Democratic presidential candidate Hillary Clinton. 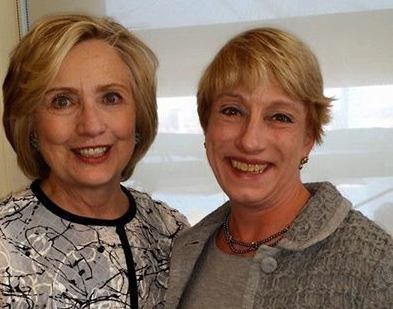 The purported pricetag for Beth Mason's photo with Hillary Clinton: over $200,000! While individuals may donate far less for political candidates, Super PACs obliterate the limits making national campaigns a slugfest of dollars. Hillary Clinton is reportedly seeking to set a new record for her campaign warchest: $2.5 billion. The photo below is cropped and untouched with no other changes from Beth Mason's public Facebook page. than $200,000 for a picture with Hillary Clinton. Last week, MSV broke the news the controversial councilwoman with a checkered history of eagerness to do harm to Hoboken and its residents for cynical political advantage was ejected by the Old Guard in favor of BoE trustee Peter Biancamano. Days later, a planted story in the Hudson Reporter said Mason will look for a "federal job" via a Hillary Clinton pathway bypassing any humiliating defeat in the second ward election this November. Any federal job for Beth Mason may have to wait. The Presidential election isn't until November 2016 and a new president isn't set to take office until January 2017. 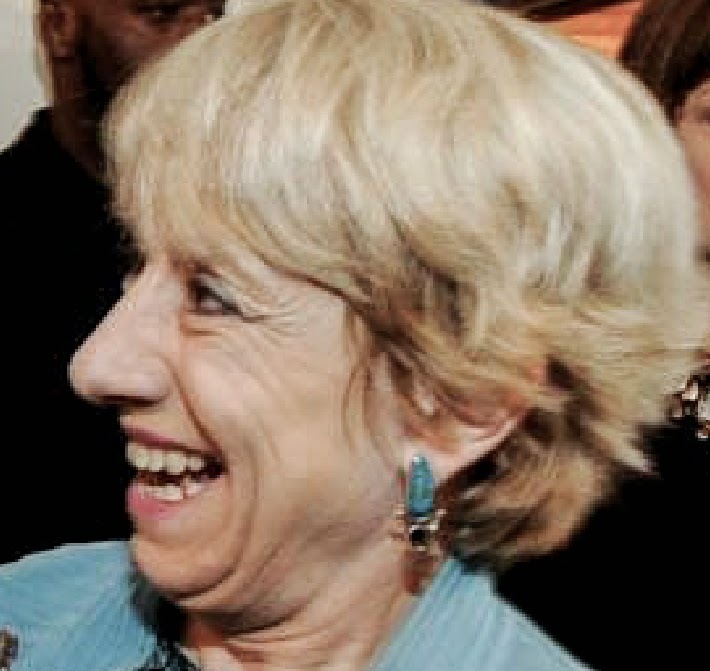 Related: Beth Mason dumped by her Old Guard allies in the second ward. The new book due out in days, "Clinton Cash" is getting national attention and the author says he now has full time security and it's "not something that just came because we decided to have security. And we'll just leave it at that." Peter Schweizer is also the author of "Throw them all out" and "Extortion." He appeared in Hoboken to promote "Throw them all out," covering political corruption on both sides of the aisle. MSV covered the event in March 2012. Grist for the Mill is MSV's rumor column. Got a juicy carrot for Da Horsey? Send it to smartyjones@me.com. Submission does not guarantee publication. Yesterday, Grafix Avenger detailed Lane Bajardi's admission against interest - he admits to knowing various identities of screen names sued in the Bajardi v Pincus civil lawsuit. Lane Bajardi and Kimberly Cardinal Bajardi filed a civil complaint with the court attesting to the screen names listed in paragraph 130 of their litigation being both of the named defendants: MSV and Grafix Avenger (and/or others) but they were targeted for their political speech, not because of anything they wrote was defamatory on local websites. Every single listed screen name below never saw a single allegation made against them. This was an act of political intimidation deploying a checkbook pure and simple. The active screen names were guilty of nothing more than opposing corruption, Beth Mason and her Old Guard allies and their actions against Hoboken. Paragraph 130 Screen Name Defendants turned out to be numerous people Lane Bajardi and Kimberly Cardinal Bajardi knew and they weren't the named defendants MSV and Grafix Avenger as their lawsuit claimed. Emails obtained in the litigation prove beyond any reasonable doubt through Lane Bajardi's and Kimberly Cardinal Bajardi's own self-authored emails, they had already obtained approximately half of the dozen screen names listed in their complaint previous to the lawsuit's filing. All of these people were forced to hire counsel to defend their First Amendment rights and Lane Bajardi and Kimberly Cardinal Bajardi SLAPPed them to the fullest extent of a lie!! In his July deposition, Lane Bajardi first denies knowing the identity of one, then later admits he did have that person's identify - courtesy of his intimate relationship with Hoboken411. More than one person was compromised by using a screen name registered on Hoboken411 and using the same name on other local Hoboken websites. Their mistake was to believe that Hoboken411's Perry Klaussen wouldn't hand over their private information to Beth Mason's rabid political operatives. One such victim of this vile, less than transparent practice: one Hoboken Horse. 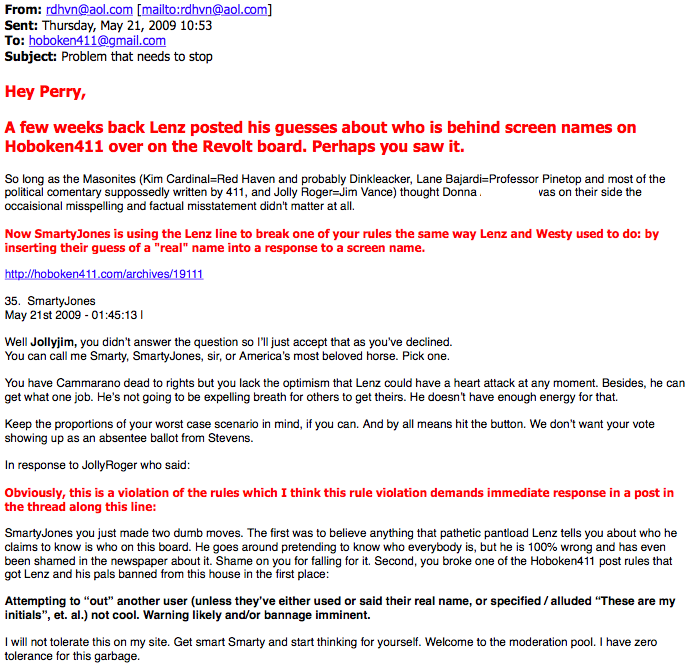 From a true, original, email in May 2009, Lane Bajardi writing under the email rdhv@aol.com goes batshit crazy when SmartyJones addresses another commenter joking how to address a horse and replying to another commenter as JollyJim. This sends Lane Bajardi into an obsessive Lenzian rant although this Horse had never met or spoken to Michael Lenz, re: Lane's bogeyman. Hoboken411's Perry Klaussen says he didn't think it was a big deal but says for Lane Bajardi, he has no problem banning SmartyJones although there may be a "backlash." Lane Bajardi responds in his "urgent" red bolded mania. A Masonista must be protected from being mislabelled and called "jolly." He demands action!! 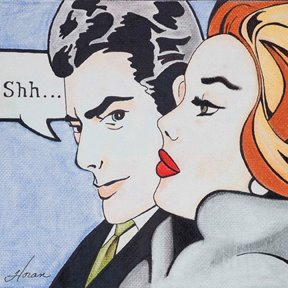 Hoboken411's Perry Klaussen responds it's not Sara who is a culprit but her partner. Obviously, no banning can be even remotely considered let alone occur against a Masonista. After all, Mason411 has a political agenda to run and censorship goes hand-in-hand with it! 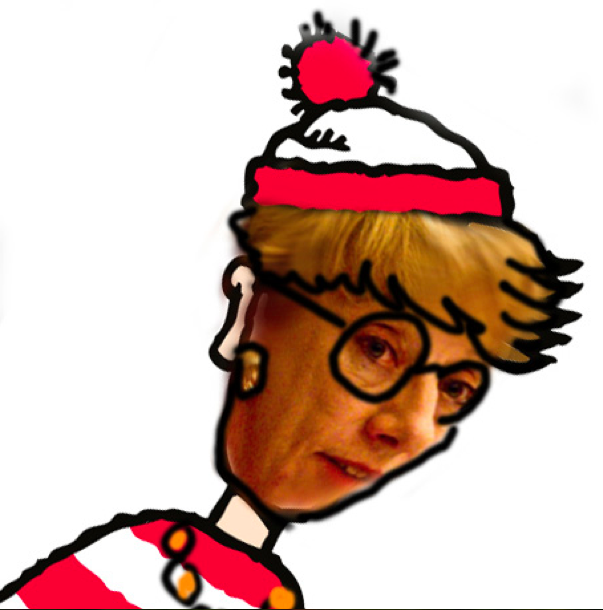 Talking Ed Note: Hoboken411 would go on to eliminate and ban any Reform voice deemed a threat to Beth Mason and seen as supportive in any way of Mayor Dawn Zimmer's reform policies. Mason411 and Beth Mason's political operatives weren't having it! Beth Mason's political operatives however were gathering the private personal information of Hoboken residents courtesy of Perry Klaussen at Hoboken411 and found themselves SLAPPed in the Lane Bajardi-Kimberly Cardinal Bajardi lawsuit. Related: Grafix Avenger published the emails related to this despicable political operation. One must wonder what Beth Mason has to say about her political operatives now and if the Hudson Reporter has any curiousity on the truth of this litigation. Like the Old Guard, many are hiding under the table and not taking questions. Hoboken's fourth ward is always highly anticipated when in play as part of the Mile Square's most disparate population during election season. It hosts the most youthful energy of "up and comers," younger residents who gravitate to the lively potpourri of downtown and First Street. Simultaneously, they are neighbors to the large campus of the Hoboken Housing Authority in the southwest and where Hoboken political worlds most collide. It's two worlds diametrically at odds for reasons of economic disparity, culture, political awareness and sometimes birther cred. If Hoboken were an island nation, this would of course offer prevailing rights of citizenship. In Hoboken, this concept applies in a parallel universe within these United States if you are so fortunate to have entrance to the back door where Old Guard favors are doled out to those select few deemed worthy. The fourth ward was a war zone in 2007 when then council candidate Dawn Zimmer went mano-a-mano with hometown fourth ward favorite Chris Campos and came out the victor after several narrowly contested races. The HHA is currently undergoing a transformation under the leadership of its current chair Dana Wefer and new Hoboken Police Chief Ken Ferrante. The historical abuses of this population past and until most recently present will be shunted aside as it once again becomes a city battleground for campaigning and the rampant Vote by Mail abuse in recent years. in Hoboken's fourth ward for the City Council. He'll look to resurrect his political fortunes there while the highly controversial former HHA Executive Director and succeeding but outgoing Assemblyman Carmelo Garcia is anticipated to make a run at Councilwoman Jen Giattino. Garcia's wake of lawsuits and disastrous rein at the HHA will likely find its way into any fall campaign. Federal investigations and massive problems uncovered at the HHA will continue to be an issue right through Election Day. In 2013, Ruben Ramos ran neck and neck with Mayor Dawn Zimmer while mayoral challenger Timmy Occhipinti trailed a distant third. 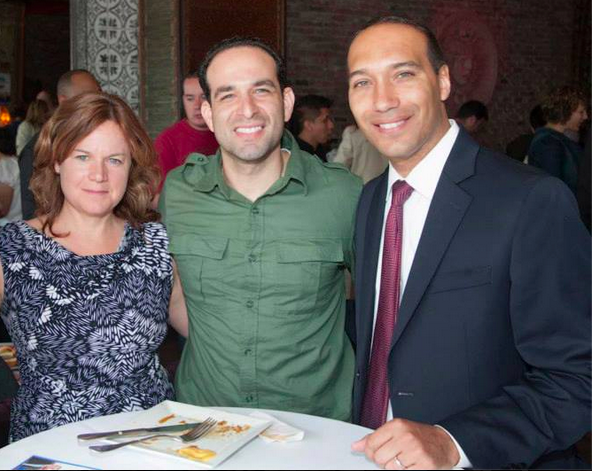 Will Hoboken's Reform movement see a stand-in for Mayor Zimmer come November? is not going to surrender the seat. He's expected to announce a kickoff next month. and federal investigators have launched multiple subpoenas. The open question: will she take the mantle from Mayor Zimmer and run? Subscriber story is out via email. The Democratic Committee in Hoboken is in the news, courtesy of a Horse and so MSV thought it would be fun Friday entertainment to take a look back at its recent history through the delusional time tunnel of the lunatic fringe Masonistas. The entertainment comes way by Beth Mason's political operatives and their rabid desire to control, spin, contort, manipulate and deceive the Hoboken voter at every possible turn. For more on one typical political operation against the people of Hoboken featuring Old Guard council members playing themselves, see Grafix Avenger's slamming story uncovering the extensive political operative efforts of Beth Mason's "not paid for friendship" political operative. Lane Bajardi: Here's my draft resolution. 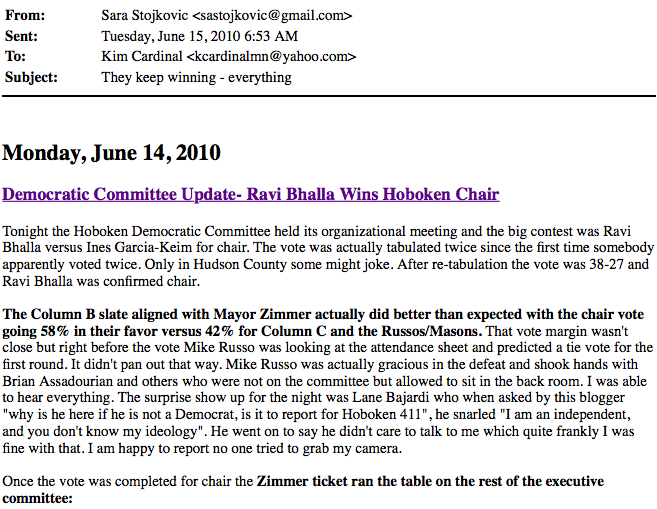 In 2010, the Hoboken Journal covered the Hoboken Democratic Committee vote for chair. Old Guard sympathetic political columnists were predicting a Russo faction victory as elected members who turned up to vote select the chair. Kurt Gardiner found the predicted outcomes off base and attended the committee meeting after the election to report on the vote. Lane Bajardi responded to an inquiry from Hoboken411 sock puppet and blog owner Perry Klaussen if a usual ghostwritten story of the Democratic Committee vote will be forthcoming. The Russo faction defeat doesn't go down well with Beth Mason's friend "not paid for friendship" who responds in his typical venomous fashion. The following year, Lane Bajardi submitted this foaming at the mouth story published (word for word as always) on Hoboken411. The true, original segment which follows comes from Lane Bajardi's actual attached Microsoft Word document to Perry Klaussen. Bajardi describes the Russo faction Democratic Committee members as "independents." 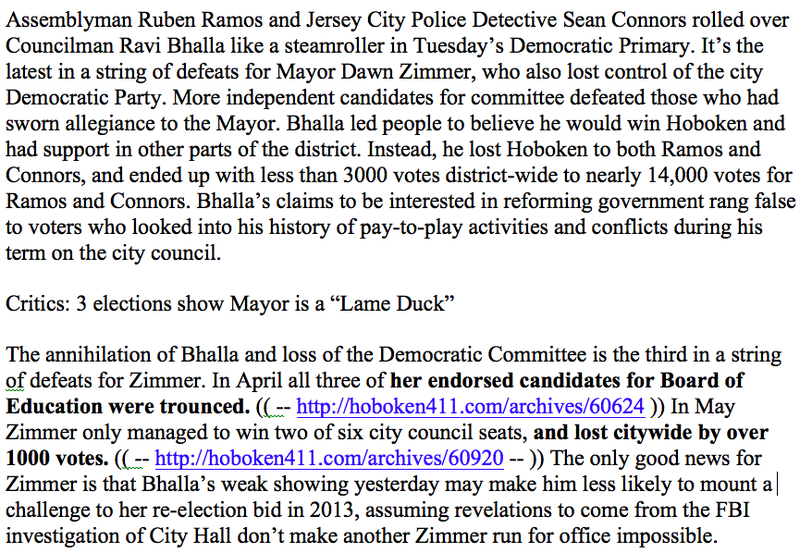 More entertaining, he describes Mayor Dawn Zimmer as a "Lame Duck" destined to lose the 2013 Hoboken mayoral race. Lane Bajardi's closing epitaph here is beyond ironic as he highlights the 2011 FBI investigation of the stolen emails out of the mayor's office and bizzarely concludes she may be found guilty of some federal crime in the theft of her own emails. Then Lane Bajardi comments under his own ghostwritten handiwork under one of his many screen names. Gee, that's transparent. Just don't call Lane Bajardi a political operative. Here he calls Councilman Ravi Bhalla "one delusional SOB." Yet another Lane Bajardi penned comment crowing with a string of his usual angry man vitriol closing with his repeated talking point from his own article Mayor Dawn Zimmer is a "Lame Duck." Let's see how Lane Bajardi's favored Russo Faction committe members "independently" vote for Democratic chair in June for Beth Mason! Talking Ed Note: This story may see additions through the weekend. Hey folks, you think reading through 49,000 emails plus attachments is easy? It's the gift that endlessly keeps on giving. Please join Da Horsey and take a moment to bow our heads and thank the kind, generous and litigious benefactors on upper Hudson Street without whom none of these 49,000 emails would be possible. In 2007, Beth Mason took what she thought would be the first ring in a series of prizes in a political career. Reformery credentials were tossed aside almost immediately in a backroom deal with the Russo Clan no later than early 2009. By 2011 her reputation coifed by a lengthy list of political consultants was already in tatters as her tone deaf single-minded ambition for power amply showed Hoboken voters she would sell out the City in a nanosecond to the Old Guard culture of corruption or anyone who would push her up the ladder. 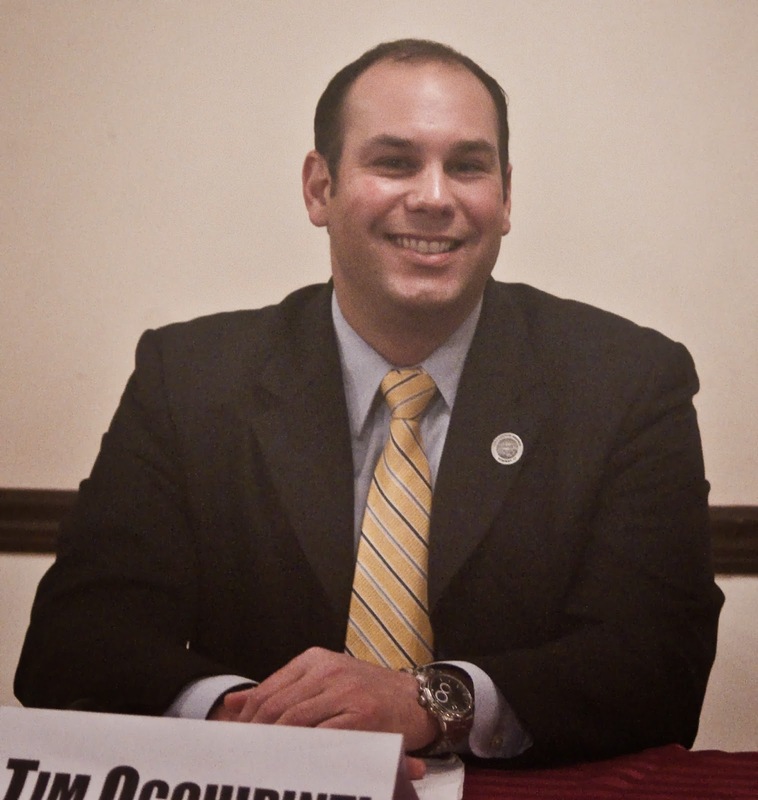 When Councilman Michael Russo truthfully voiced to FBI informant Solomon Dwek he named Mason's council slate leading into her spring 2009 run for mayor, Hoboken shuddered at the implications confirmed in black and white FBI surveillance video. 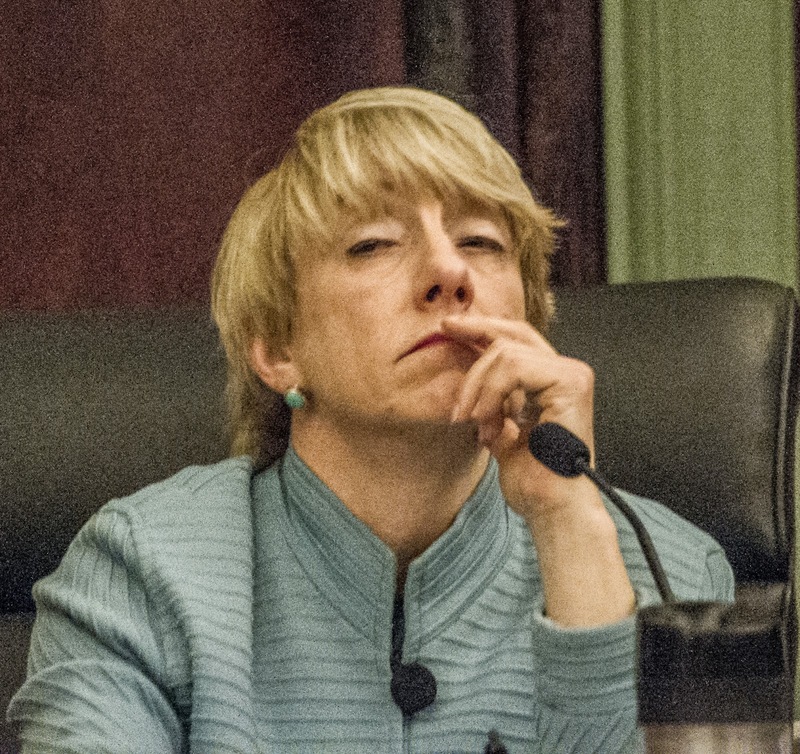 In 2011, Beth Mason spent well into six figures to retain the council seat she had no interest in but hoped to leverage for higher political office. Her base long having fled with her adoption of the Hoboken Sopranos; she was left with a handful of deranged political operatives who echoed her rationalizations at every turn and urged her to kill the local hospital and "destroy the administration" seeing Hoboken likely bankrupted in the process. Beth Mason's political resume awaits some last updates with p-e-r-j-u-r-y and related letters looking to find their way into the mix. The damage to Hoboken, its institutions and people is one worth closer inspection. The rest of this story is MSV Premium and will be released later today. 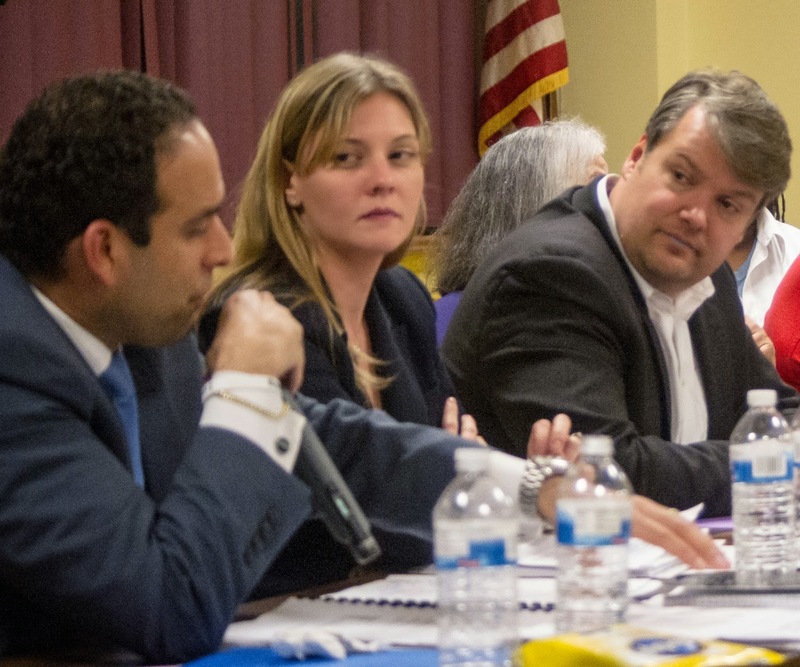 The second ward council seat currently occupied by the vastly disliked Beth Mason is expected to be vacated by her as part of an Old Guard strategy to clear the decks for Hoboken ward elections this November. 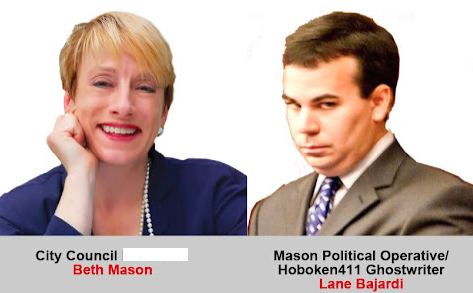 An Old Guard deal to resolve the "second ward problem" of Beth Mason and her widespread current and past controversies would see her booted while handing her the chair of the Hoboken Democratic Party currently held by fourth ward resident Jamie Cryan. Multiple independent sources stated yesterday Mason ejected from the second ward council seat paves the way for a replacement in BoE trustee Peter Biancamano expected to mount a strong run in November as several candidates in waiting eye respective runs. Paving the way? 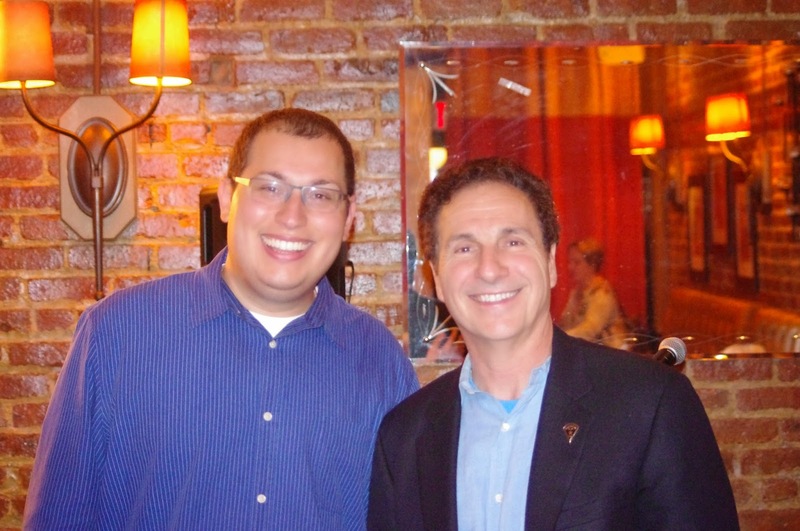 BoE trustee Peter Biancamano (l) (with Freeholder Anthony "Stick" Romano) is widely said to be the winning recipient of an Old Guard deal seeing Councilwoman Beth Mason vacate the second ward council seat for his run in the Hoboken November ward races. Execution of that strategy would see Beth Mason handed the seat of Hoboken Democratic Chair Jamie Cryan after the June Democratic committee races. Cryan rejected the chatter as "irrelevant people trying to be relevant." Current Hoboken Democratic Chair Jamie Cryan admitted hearing the disquieting political chatter with his seat being leveraged. In a phone conversation last night, he rejected the notion of Beth Mason assuming his role as Chair retorting he was "not worried" further dousing water on any plan concluding it was nothing more than "People that are irrelevant trying to be relevant." Others however were less sanguine about the prospect saying the upcoming Hoboken Democratic committee elections in June would hand the Russo family the committee votes to select a new chair by those elected members shortly thereafter. Old Guard sources point to a recent meeting where a plan to clear the way in the second ward as part of an overall citywide strategy for November ward elections with an eye to the 2017 mayoral race. A key player addressing the political winds yesterday said matter of fact in another phone interview, "There's talk that Councilwoman Mason will become the next (Hoboken) Dem Chair. It's too early to say before the (Democratic committee) elections." The early June Hoboken Democratic Committee elections however are a moot point with only three of the races contested citywide. The outcome is already certain and the Russo family which has held a strong influence historically will assume complete control when its selections gain a majority against flailing Reform opposition. 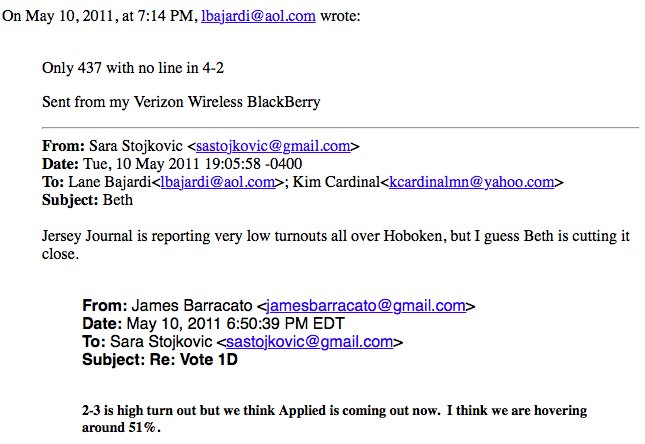 After the June election, they can call the shots on the vote for Hoboken Democratic Chair held shortly thereafter. to pave the way for citywide ward races this November. clearing the way for BoE Trustee Peter Biancamano's expected run. One second hand Old Hoboken observer of Beth Mason's predicament looked at her situation astutely saying to a colleague, "How would she run with those emails out?" The email reference pointing to the fallout on MSV and Grafix Avenger publishing emails since February with the discovery submitted to Hudson Superior Court in the Bajardi v Pincus litigation. By early June, much of the political posturing will be over and Hoboken will see additional insights to what's what in the second ward and possibly other upcoming races across the city with Reform's slim 5-4 majority at stake in November. Talking Ed Note: Take a bounce bow Beth. 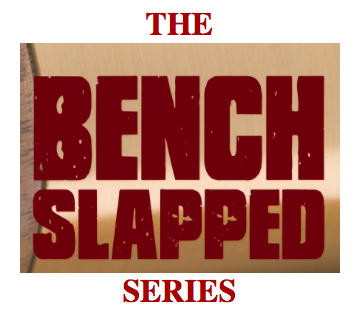 BENCH SLAPPED: Hoboken Quality of Life Coalition betrayed! Hoboken has been riveted by the series of email revelations on MSV and Grafix Avenger after the failed civil litigation to take down the speech of more than a dozen Hoboken residents last February. Those revelations don't end with individuals - the war on the First Amendment tolls by Beth Mason's dwindled coterie of ubermensch backers and extends to existing Hoboken organizations. Here we see one such example and it's the Quality of Life Coalition victimized. The war on the First Amendment extends beyond the dozen Hoboken residents litigated for political speech. A true, complete email follows from December 14, 2012 where the names of the unsuspecting QLC parties have been changed. even a letter to the editor. Your opinion? On Fri, Dec 14, 2012 at 9:40 AM, Melissa XXXX <melissa.XXXX@gmail.com> wrote: i would support it. The mayor made some good points, but she made them before a Senate committee that has no jurisdiction over insurance and FEMA issues, which were the main focus of her speech. I don't think Hoboken businesses are having a problem getting SBA loans, and in fact most businesses on Hoboken's main street were not flooded. Mayor Zimmer had no concrete numbers on how many businesses exist in Hoboken, or how many businesses were flooded (she mentioned "hundreds" a couple of times, but no real number). She listed the flooded public buildings and 1,700 homes, but not businesses that were damaged. When Senator Landrieu asked her a question, the mayor repeated some of the points that the other speakers had made (such as lowering the SBA loan rate), and she was unable to answer Senator Gillibrand's question about grants for businesses. She admitted that the City of Hoboken has no useful data about Hoboken businesses and asked whether the Federal government could provide it. She was also unable to quote the specific law or regulation that exempts "garden-style" businesses from flood insurance coverage. I think having that information would have made her points stronger, perhaps using a real example of the experience of a Hoboken business owner with their insurance company. I hope no one is offended by this, but I think that Zimmer was just taking advantage of the TV notoriety she gained during the storm. It looks like she is trying to make the best of it, and I really hope that her suggestions will trickle down to the right people. It is important to give the government specific numbers so they can appropriate the right amount of money for immediate relief, because if the relief we seek is dependent on changes in legislation, that process takes a long time and it will not happen for the businesses that need help now. The members of the Senate panel clearly had seen pictures of Hoboken's flooded streets and the mayor's presence and remarks helped keep Hoboken on the radar screen of politicians in Washington. That's the main good thing that happened here, and it's great. So while I realize I may be out-voted on this, I would refrain from playing cheerleader and would wait and see for the results of the mayor's day in Washington. Thanks, Ines, for your perspective on the situation. At the end of the day, regardless of details or the jurisdiction of the committee, her appearance there did raise the issue in the national media in a way that it hadn't covered it before. And while the majority of businesses on Washington St. were spared from flooding, the ones on the back streets -- as well as the residences -- need all the help they can get. It's not easy to pull off your first Senate hearing appearance, so I support this letter of congratulations just to encourage public officials--present and future--to doggedly pursue all avenues to help the victims of the storm. Given the speed of government action, waiting until we see results will take too long. Have not heard yet from Tom and Paul on this. Please respond. I have never forwarded communications from the QLC board before, but I had to share this one. Just take a look at the bunch of Kool-Aid drinkers I have to deal with. Or maybe my standards are too high. I am fed up with people whom I consider intelligent and their willingness to give Dawn a pass on everything. Is it too much to ask that she know how many small businesses we have in Hoboken, or how many were damaged by the storm? Is it too much to ask that she quote the regulation or legislation that she wants changed so flood insurance covers damages more fairly? How about the fact that Hoboken taxpayers paid for a trip to DC so she could appear before the wrong committee for the main issue she wants addressed? I wonder if these people would have been this patient with Dave Roberts, or with Beth if she were the mayor. Some people still have the nerve to say that it is me who has changed. I disagree wholeheartedly. These people need to see how they have changed on how they judge the actions of city officials. Talking Ed Note: Yeah, some people, the nerve. The budget was recently introduced with a proposed increase in municipal taxes of just under 1%. Now the Council has the task of rolling up our sleeves and seeing where cuts can be made to achieve a zero increase in municipal taxes - which is my goal. The increase in the total amount raised in taxes between 2014 and 2015 was not a result of the reval process. Rather, it is driven by annual increases in salaries owed to our City employees (police, fire, municipal employees) under legally binding contracts negotiated with various municipal unions. Over the next few weeks, the City Council will amend the budget and hold hearings. I will keep residents informed of these proceedings through my Facebook page http://www.facebook.com/ravibhallahoboken. In March, the City Council approved an application for a low interest loan from the New Jersey Environmental Infrastructure Trust to purchase a six-acre property commonly referred to as the BASF site located at 11th and Madison streets in northwest Hoboken. It is our vision to use this opportunity to obtain a large portion of land for a public use in the form a large, beautiful park for all of our residents to enjoy. A major added benefit is that the design construction of this park will have a substantial impact on alleviating flooding in this area of Hoboken. While the city is still in negotiations with the property owner, we anticipate designing the park to also act as a defense mechanism against flooding. The plan for the six-acres is to build a multi-purpose park and a large-scale underground storm water retention chamber. The City's efforts to combine park space with flooding solutions places Hoboken on the cutting edge of green infrastructure development, and is being watched with great interest nationally as well. I will continue to provide updates on this park and other open spaces. Hoboken is becoming the first city in New Jersey to establish a composting program for its residents. I recently wrote a letter to The Hoboken Reporter outlining the basics of the program, which was approved by the City Council on March 18. The City will be providing more information on this program as it is introduced. Lastly, in an effort to stay in contact with residents, in the past three months, I've launched a Facebook page and an official website. To stay up to date on the latest happenings in Hoboken and what the City Council is working on, "like" my Facebook page here. My new website is located here. The website is another avenue for residents to contact me regarding any problems, read about issues of importance, and if you like the work we are doing, join us by making a donation to help with our efforts to make Hoboken an even better place to live, work and play. As always, if you have any questions, concerns, or need assistance with anything, feel free to call me at (201) 647-6090 or email me at councilmanbhalla@gmail.com. As the Spring is finally here, and the sun is coming out (slowly), the highlight of this time of year for me is always the beginning of baseball! I would be remiss if I did not give a shout out to my Yankees. They were off to a rocky start, but seem to be getting back on track - fingers crossed! Lane Bajardi and Beth Mason: 'What the f--k is Zimmer talking about "Ground rules for clean campaigns???" Is she high? When Hoboken's reform movement began its rise in the previous decade, Councilwoman Beth Mason sought to use it to propel herself to Hoboken's mayoral seat in her aspiring political ambitions. As she privately confessed to her 2009 mayoral campaign manager Jake Stuiver, what was the point of being the second ward council person? That office was obviously a means to an end for more power in Hoboken as mayor and beyond. A monkey wrench surfaced as an elected 2007 councilwoman from the fourth ward council seat decided not to bow down to Beth Mason and hand her the reform mantle in a run for mayor of Hoboken. This caused much consternation for Beth Mason's "friend not paid for friendship" Lane Bajardi who she described in her brief testimony in the Bajardi v Pincus litigation as a friend and campaign volunteer and not a paid employee of her company Newton, Lao, Leonard & Locke or the Mason Civic League. (Both are listed at the same address: 1202 Washington Street in Hoboken ) although Mason would claim dozens of employees currently working for Newton, Lao who "consult" her on business investments. Due to objections by Bajardi attorney Jonathan Z. Cohen, Beth Mason would not testify about funds possibly funneled from her Weehawken based "business partner" James Barracato to Lane Bajardi and if Mason family monies were involved in funding the Bajardi v Pincus litigation against a dozen Hoboken residents for more than two-and-a-half years. Both Lane Bajardi and Kimberly Cardinal Bajardi had been mostly unemployed for over two years in the lead-up to the litigation announced by Beth Mason herself 15 days before the civil litigation's filing at the June 2012 City Council meeting. Councilwoman Beth Mason and Lane Bajardi email on Dawn Zimmer's proposal:"What the f--k is she talking about "Ground rules for clean campaigns??? Is she high? In December 2008, the problem is Councilwoman Dawn Zimmer who is open to meeting with Beth Mason and their respective spouses and agreeing to run a "clean campaign." This is apparently distasteful to both Beth Mason and her intimate advisor Lane Bajardi. Lane Bajardi then responds with his typical brand of venom and projects some odd emotions on to then Councilwoman Dawn Zimmer's husband and another person he apparently holds some obsessive fixation. 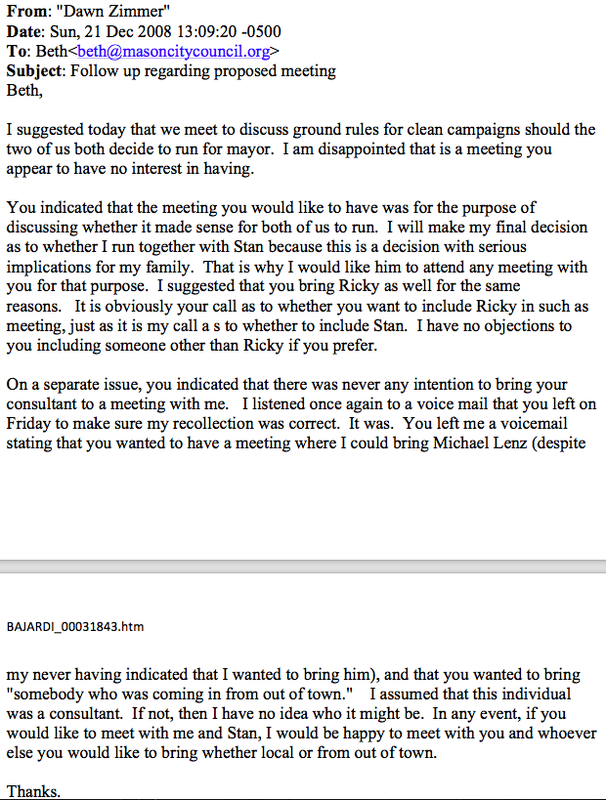 Bajardi writes to the idea of Zimmer's proposal of "ground rules for clean campaigns" with, "Is she high?" As Hoboken would become well versed in the Mason style of politics, the moniker Queen of Mean in Hoboken would be well-deserved with Beth Mason's spendthrift scorched earth tactics striking throughout the Mile Square. 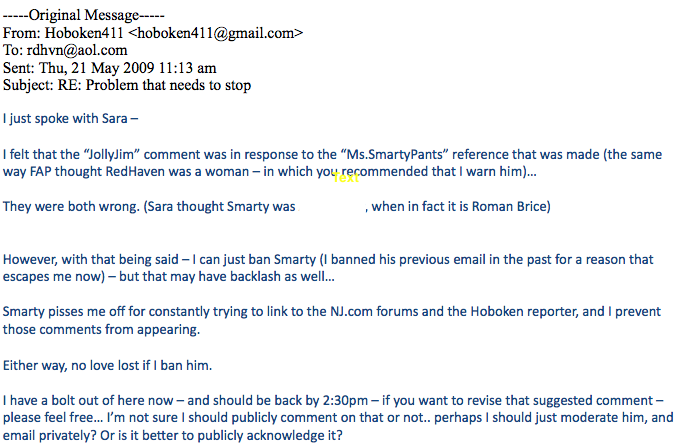 How far does Beth Mason's scorched earth Hoboken politics go and what's the impact on the judiciary? I’m Annette Chaparro and I want to represent you in Trenton as your next Democratic Assemblywoman from the 33rd District. I will provide a strong voice for Hudson County and work with our local government officials to ensure a partnership that benefits all residents. I was born in Hoboken, raised in the Hoboken Housing Authority, and attended Hoboken High School. I am the proud mother of three young men, engaged to Ken Ferrante, and currently work in the Hoboken City Clerk’s Office. Previously, I served as the Division Head for the Hoboken Taxi and Livery Department. I have also held the position of Secretary to the Hoboken Planning and Zoning Boards, and was a member of the Hoboken Rent Control Board. I have been apart of local, state, and federal elections, and I am now excited to have the opportunity to make a contribution to our community as an Assemblywoman. As a lifelong resident of Hoboken, I understand the needs of the 33rd District. Over the coming weeks, I look forward to discussing the statewide issues that impact the district, as I will work hard to run a positive, issue-focused campaign. I am truly honored to have the support of Senator Brian P. Stack, Hoboken Mayor Dawn Zimmer, and State Assembly Speaker Vincent Prieto, along with many other representatives I have had the chance to meet and talk with over the past few weeks. I am also truly privileged to run alongside Assemblyman Raj Mukherji. Please feel free to e-mail me at ChaparroForNJ33@gmail.com. I am excited to get to know even more residents over the coming weeks leading up to the primary Election Day on June 2.